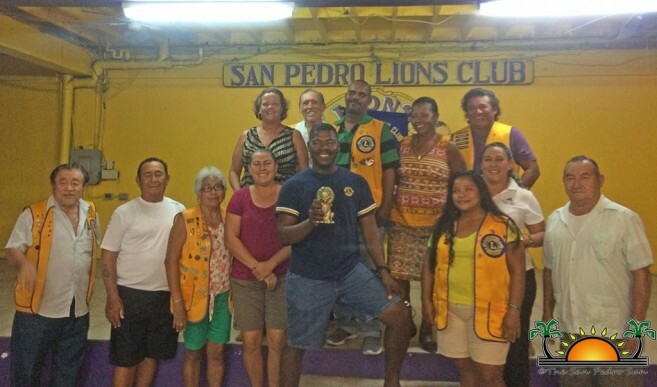 The San Pedro Lions Club elected a new Board of Directors on Tuesday, May 2nd at the Lions Den. Re-elected to serve a second term is Lions President Nigel Belisle. The new Board of Directors include: Vice President – Melanie Paz, 2nd Vice President –Mel Spain, 3rd Vice President—Rigoberto Kumul, Secretary—Pamela Zetina, Treasurer—Abel Guerrero, Membership—Fatima Graniel, Lion Tamer—Mariella Reyes, and Tail Twister- Everette Anderson. 1st Director—Pedro Salazar, 2nd Director—Manuelita Marin, 3rd Director—Baldemar Graniel, and 4th Director—Francisco Verde. In addition, Angel Nuñez, Marina Kay, and Pamela Zetina have remained the coordinators for the San Pedro Leos Club. Belisle said he is honored to serve another term as president. “I am very excited. I have dedicated a lot of my time, and I look forward to doing so again during my second term. We currently have a lot of projects in the works, and together as Lions, we will ensure that everything runs smoothly,” he said. Congratulations to the new board of directors for the San Pedro Lions Club, and thank you for your invaluable service to our community!